Click here to visit the Red Lobster facebook and like them. 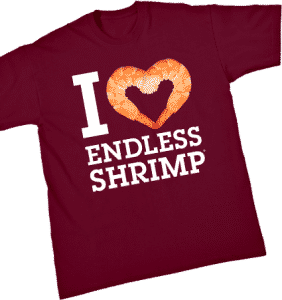 Then on the “Endless Shrimp Shirt Giveaway” tab, click “enter for a chance to win.” Then just fill out the easy form to enter their sweepstakes. A total of 300 lucky winners will score a free Red Lobster shirt. You can enter this one daily through September 23rd. Good luck!